Menlo Park Police Department will be conducting a DUI/Driver’s License Checkpoint on Saturday, March 23, 2019 at an undisclosed location, within the city limits, between the hours of 7:00 pm and 3:00 am. Driving Under the Influence (DUI) checkpoints like this one are placed in locations based on collision statistics and frequency of DUI arrests. Officers will be looking for signs of alcohol and/or drug impairment with officers checking drivers for proper licensing. 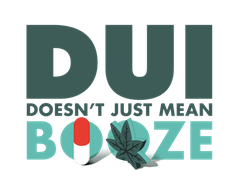 Menlo Park Police Department reminds drivers that “DUI Doesn’t Just Mean Booze.” If you take prescription drugs, particularly those with a driving or operating machinery warning on the label, you might be impaired enough to get a DUI. Marijuana can also be impairing, especially in combination with alcohol or other drugs, and can result in a DUI. In 2017, 1,120 people were killed in alcohol-involved crashes on California roads. Last year, Menlo Park Police Department investigated 14 DUI collisions which resulted in four major injuries. ◦Always use a designated sober driver – a friend who is not drinking, ride-share, cab or public transportation – to get home. ◦See someone who is clearly impaired try and drive? Take the keys and help them make other arrangements to find a sober way home. ◦Report drunk drivers – Call 911. ◦Hosting a party? Offer nonalcoholic drinks. Monitor who is drinking and how they are getting home. Funding for this checkpoint is provided to Menlo Park Police Department by a grant from the California Office of Traffic Safety (OTS), through the National Highway Traffic Safety Administration.